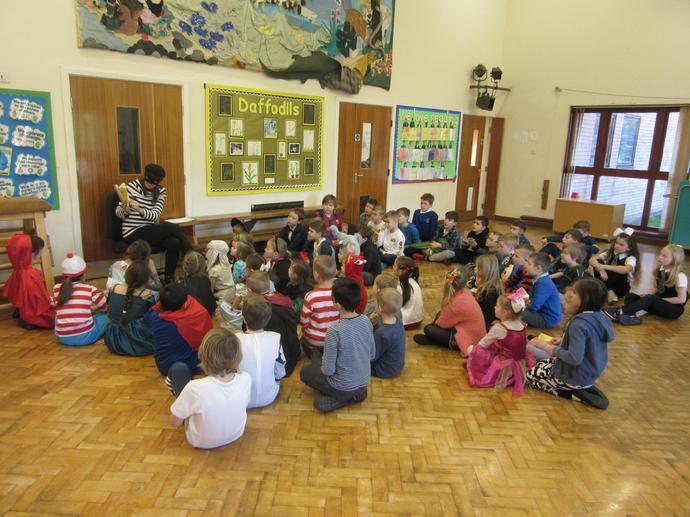 The school was completely taken over with characters from a range of books on World Book Day. Our day started out with a 'readaround'. 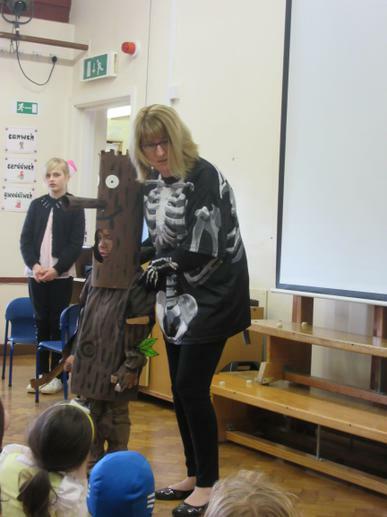 This involved the children visiting a different class to hear a story from a different teacher. Favourite authors such as Allan Ahlberg were included, with Funnybones and Burglar Bill being popular choices. 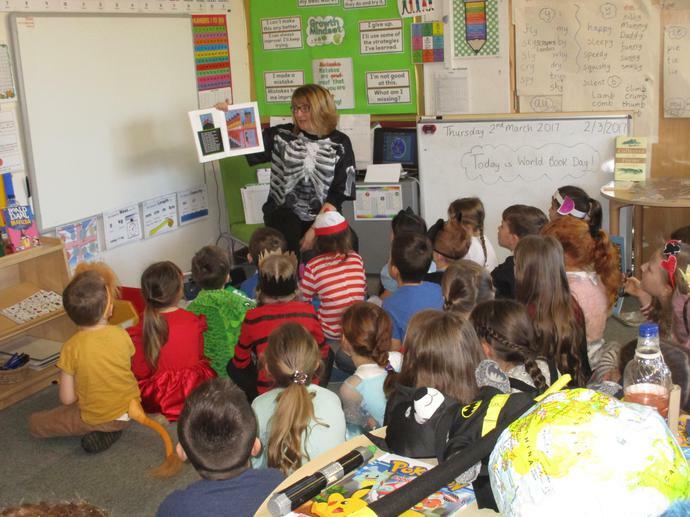 During the day the children worked on book related activities such as drawing, making, writing, painting, collecting data and had a chance to take time to enjoy their books. At the end of the day we all came together to share and celebrate our costumes and work from the day. A great celebration of the wonderful world of books!